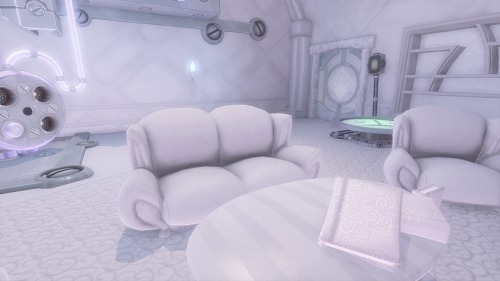 Quantum Conundrum is a first person game that blends puzzles and platforming with the ability to shift between dimensions. At the head of the game was Kim Swift who previously worked on Valve’s Portal game while John De Lancie voices the character that oversees your progression. Quantum Conundrum originally launched on Windows but was released soon after on the respective online stores for the Xbox 360 and PlayStation 3. Players assume the role of a silent character, a young boy who is sent to stay with the strange Professor Quadwrangle. As you arrive you realise that Quadwrangle had completely forgot about your arrival and you get caught in one of his strange experiments that goes wrong. This results in Quadwrangle being stuck in a strange pocket dimension leaving the job of rescuing him up to you. Gameplay in Quantum Conundrum revolves around players moving between dimensions and avoiding the various dangerous game elements. This includes lasers, toxic elements and deep pits which will all kill the player and require them to start from the beginning of the level or the most recent checkpoint. Players manipulate their surroundings by using a glove that they acquire early on that can eventually move between four different dimensions. This includes the fluffy dimension where objects are lighter (making them able to be carried), the heavy dimension where objects can protect the player from lasers and provide enough weight to push buttons, the slow dimension that passes game time slowly while allowing the player to move at normal speed and finally the reverse gravity dimension where (as the name suggests) the gravity is reversed (players are unaffected). 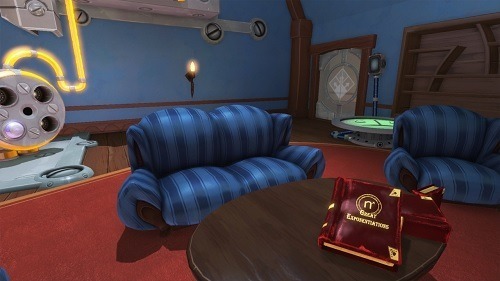 Players can only use dimension at a time and all objects in the game world will change (even the paintings in the game will get a makeover which is a nice touch). Many of the puzzles will involve moving objects in the fluffy dimension and then changing to the heavy dimension so that their weight will activate a switch or block a laser for the player. Quantum Conundrum has a very Portal like feel with the constant talking from Quadwrangle overseeing your efforts in an often dramatic and snarky manner. The puzzles also use a very interesting mechanic that will have you scratching your head at some of the later levels. From the brain that worked on Portal. Voiced by John De Lancie, which gives the game an interesting vibe. Very unique dimension mechanic that requires some fourth dimensional thinking. An enjoyable and interesting adventure through Profressor Quadwrangle’s mansion. On Xbox 360, PlayStation 3 and Windows.